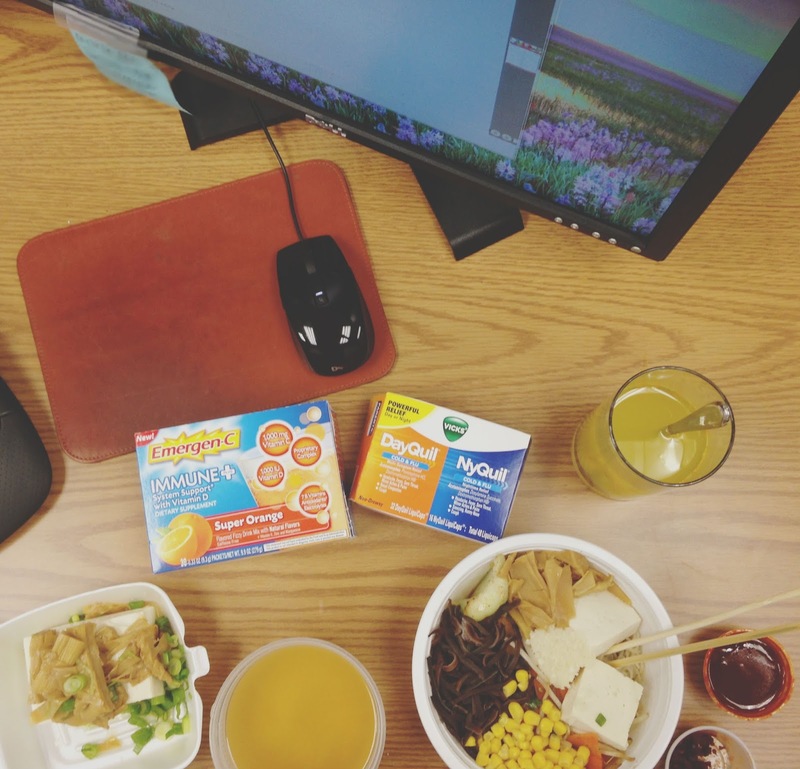 Good news, I got rid of my summer cold! More good news, I'm pretty sure the ramen at Samurai Noodle had something to do with it! But before I delve into that, even more good news, my sister Emily started a blog! Head to CheerioSpeachEO to see her peppy, awesome, interesting posts on travel, cooking, and the world of speech and language pathology. And tell her I said hi! 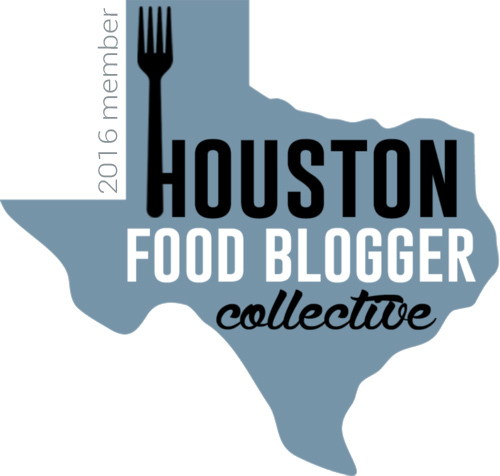 Oh and one more bit of good news, my blog got a makeover! There will be more minor updates coming soon (think header menu items and subcategories, ooh, ahhh), but I hope you all like what I've done so far with the space! Many thanks to my friend Amber for introducing me to this Etsy shop, filled with cute, user-friendly blogger templates. I don't often treat myself to lunch, but when I do, it's because I can't breathe out of my nose, my throat is on fire, my left eye cannot stop twitching, and I sneeze about 47 times per day. I want to make sure y'all get the clearest, most unadulterated visual possible to set the scene, #yourewelcome. During the crux of my dumb summer cold I decided nothing would benefit me more than a nice, hot bowl of ramen. 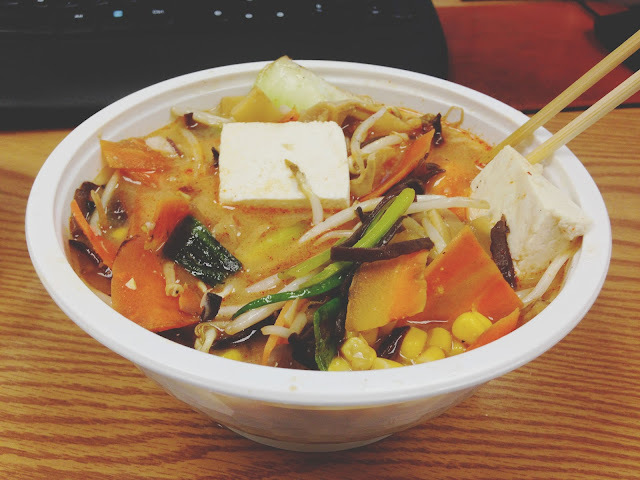 I had heard about the new(ish) spot Samurai Noodle, and it isn't far from my office, so I popped on over for some soul-warming goodness. For the sake of research I ordered the spicy tofu appetizer to start - soft tofu served with cold house marinated bamboo, green onions, and house chili sauce. This wasn't bad. It definitely was better once I poured the chili sauce all over it. 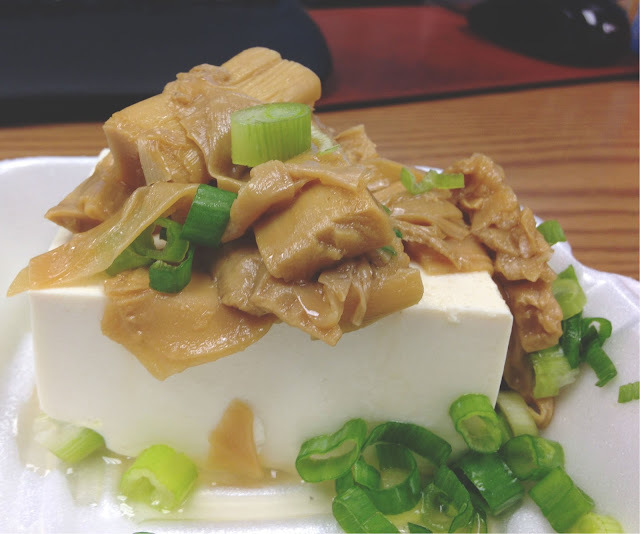 I enjoyed the contrasting textures of crunchy green onions, chewy marinated bambo (first-time marinated-bamboo experience, whattup), and soft, creamy tofu. The earthy, syrupy, zippy chili sauce served as a nice coating. Overall though, personally I prefer my tofu cooked or mixed in with a bunch of stuff (um, hello RAMEN). But for a protein-packed appetizer, this was probably exactly what I needed to help build my immunity. The main event was the vegan miso stir fry ramen I ordered. Stir fried vegetables are served with vegan miso broth, thin wheat noodles, corn, and tofu. I also added bamboo, garlic, mushrooms, and hellfire paste. "Yeah, that's a meal!" the guy preparing the tofu said to me. Exactly. Okay, YES my tastebuds were probably a little off, and YES I've only ever tried ramen one other time, but I really, really enjoyed this ramen. The miso broth base was wonderfully briny, the bean sprouts and corn had a beautiful crunch, and the hellfire sauce was not too spicy, but spicy enough to *ahem* clear me out. Am I the worst? I'm the worst. The vegetables were fresh and lovely, and the tofu added a wonderful softness to the soup. The onslaught of nutrients I was receiving, atop the beautiful broth was a force to be reckoned with, and just what the doctor ordered. If anything, the fact that my tastebuds were muted should speak volumes for the amount of flavor and power I felt that this bowl delivered. And bonus points: The order really was one heck of a meal, so I was only able to eat half of it, which means lunch was covered the next day! Of the two ramen experiences I've had (that aren't 99 cent packages of noodles pieces of paper (let's be honest) from the grocery store, DON'T JUDGE ME. 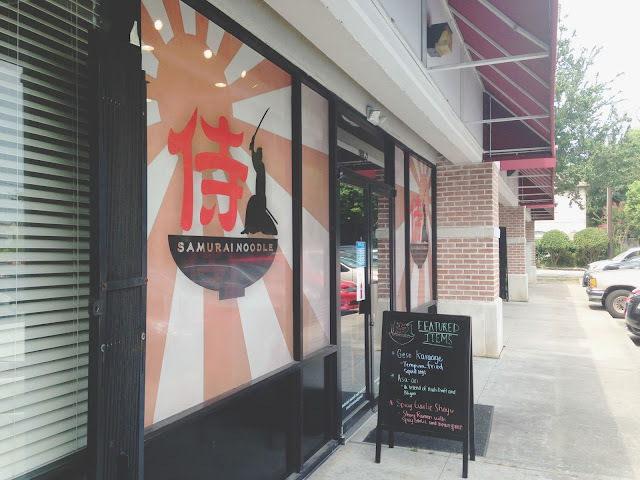 ), the ramen at the no-frills spot Samurai Noodle was far and away my favorite. The high quality, fresh ingredients swimming in a succulent broth were lovely. I know where I'll be going when another cold hits/the rude wintertime comes! I just tried this place the other day too and was pretty impressed! I'm new to ramen too, but I'll definitely be visiting again when the weather gets cold!